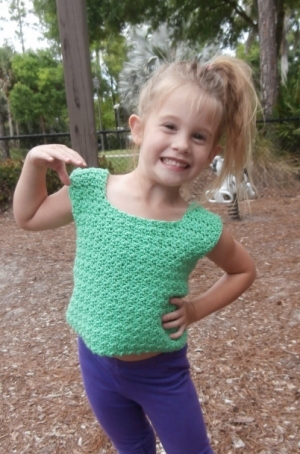 : Super cute crocheted top for any little one! Size I crochet hook and tapestry needle are required but not included. Gauge: 13.2 sts and 12 rows over 4"